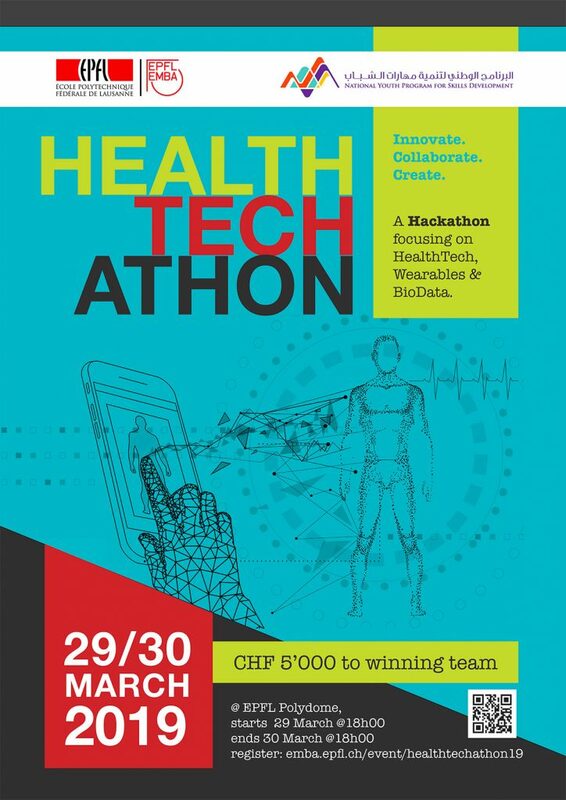 The HealthTechAthon – a Hackathon focusing on HealthTech, Wearables & BioData. Starts at 18h on the 29th March, ends at 18h on the 30th March. Participants will be assigned to team of 4 at the beginning of the event. CHF 5’000 for the best team. Free event, Free Food, Free fun! Since 1998, our hands-on approach combines innovative thinking with strategic management skills. We equip participants to lead a tech-oriented workforce, foster a culture of innovation and lead businesses from ideas to impact. We will use the information you provide on this form to provide updates on the program and its related activities. By checking this box, you confirm that you’d like to receive these updates via email.